Transform into the well-known 17th century pirate with this terrific, red Captain Blackheart costume. 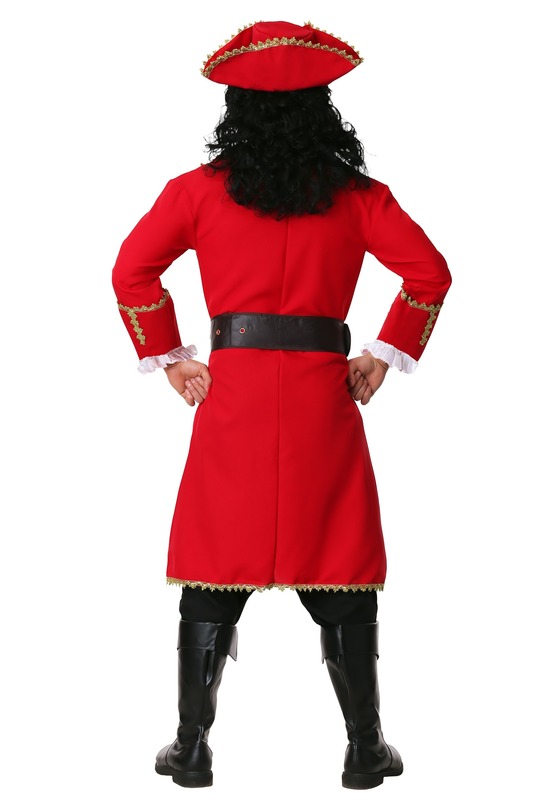 The long, red pirate coat has a red polyester exterior and is accented in gold trim and “laces” designs up the chest. 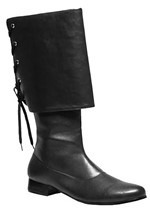 There are also large, detailed cuffs with white lace trim. 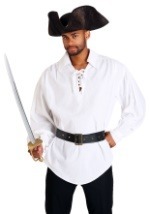 A white, ruffled satin mock shirt, or jabot, is also included, as well as a large faux-leather belt with a gold buckle and a pirate's hat that matches the coat. 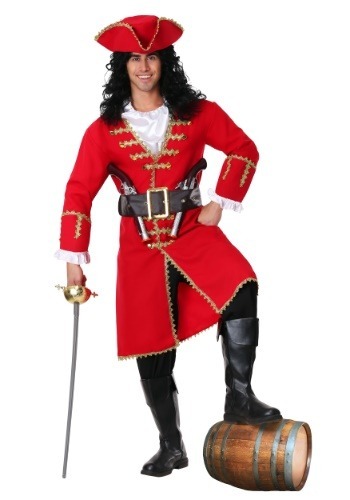 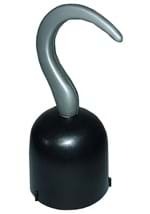 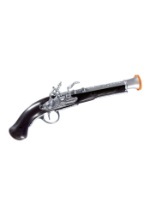 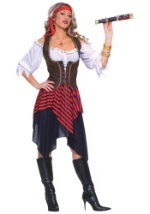 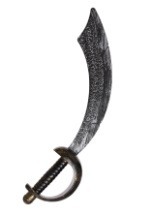 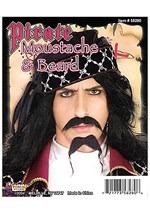 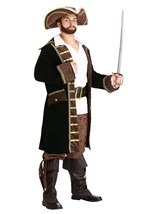 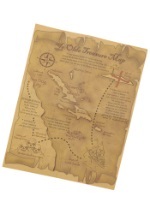 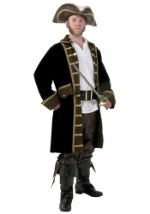 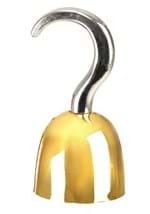 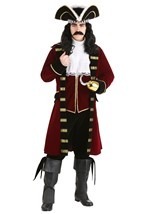 You're sure to be a popular sight at any costume party in this recognizable pirate costume!